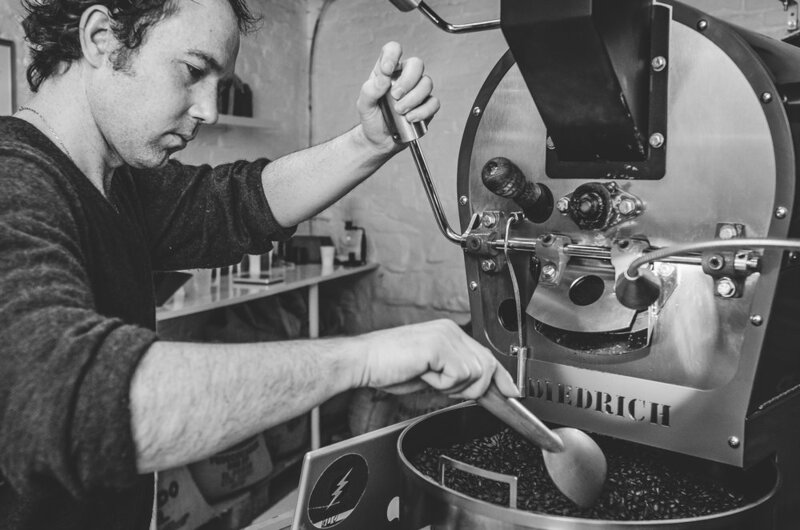 Roasted with a passion on Love Lane in our 18th Century roastery just metres from the sea. Ethically sourced, Luckie Beans roast in small quantities enabling the attention to detail to be second to none. USING 50% LESS GAS THAN OTHER COMPARABLE ROASTERS, IT IS ENVIRONMENTALLY FRIENDLY. Not only that but no naked flames directly heat the drum where the coffee is roasted. Therefore the coffee beans do not have any unburned gases in the roasting medium creating a cleaner cup of coffee. The coffee roasting process sped up. A 12 minute process in 9 seconds. Roasted on a red Diedrich, Luckie Beans are dedicated to sourcing and roasting the Worlds best coffee. We use the data logging software to enable us to profile the roast, and cup daily to make sure that every batch is of the highest standard. Subscribe to our gorgeous coffees, or simply purchase a singular bag. All of our coffees are shipped through letterbox friendly recyclable packaging. © Copyright Luckie Beans Ltd, Love Lane, Berwick Upon Tweed, TD15 1AR. All Rights Reserved. Site by RRDCreative.